Don’t live with your dated and deteriorating countertops a minute longer than you have to. Instead, turn to the team that offers beautiful custom countertops in Little Rock, AR. 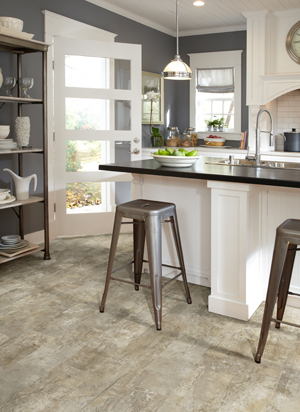 When you turn to Arnold's Flooring America, you will find only the finest quality materials. Regardless of what style of countertop you desire, our kitchen countertop showroom has a wide selection to ensure you find what you’re looking for. Make an investment that will both enhance your quality of life and increase the value of your home in one simple installation. Arnold's carries the top brands in quartz countertops. Whether you’re looking for new kitchen countertops or beautiful bathroom counters, we are the source to trust. The countertops we carry range in materials and styles, each one suited to a particular use or home style. All of the counters we carry can hold up to the daily use they’ll face in either situation. From stains and spills and drops and abuse, the counters we sell are well-suited to stand up to the modern home. Whether you need bathroom or kitchen counters, you can expect them to last for years down the road. Our granite kitchen countertops are perfect for homes that want class and durability, while our quartz counters are excellent for bathrooms. No matter how high the quality of the materials may be, no counters will be nice without quality installation. That is why we offer comprehensive countertop installation to our clients, ensuring that they get the perfectly installed counters they deserve. We’ll make sure to perfectly measure out every inch of the space you’re looking to get new counters, cutting them perfectly the first time and getting the job done quickly as a result. With us on your side, you won’t have to worry about shoddy installation work that will impact the longevity of your countertops. Whether you want our gorgeous quartz bathroom countertops or our luxurious marble counters, you can trust in our team to get the job done. No job is too big or too small for our team, so reach out to us today to go over your options. Contact us today for the beautiful new counters of your dreams. We are proud to represent Little Rock, Arkansas, and the surrounding area.